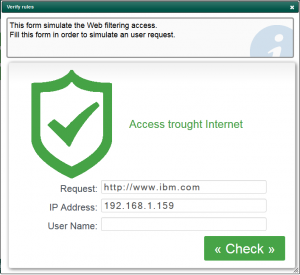 Home » Web filtering » How to test Web filtering rules ? How to test Web filtering rules ? When you have defined several webfiltering rules, you have to test and to be sure that websites are banned or allowed. 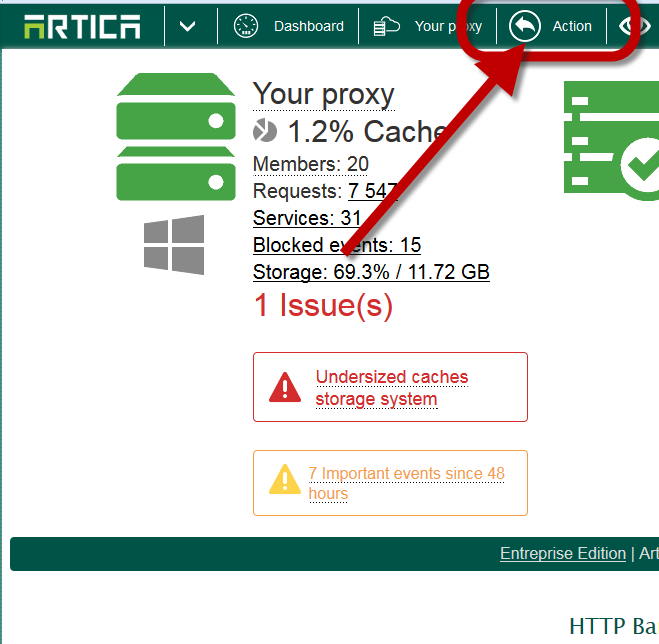 Artica allow you to test your rules without using your browser on the targeted computer. Note: This feature test only the Web filtering, behavior can change if you have added ACLs rules. On the top menu, select Action button. Click on Verify rules icon. 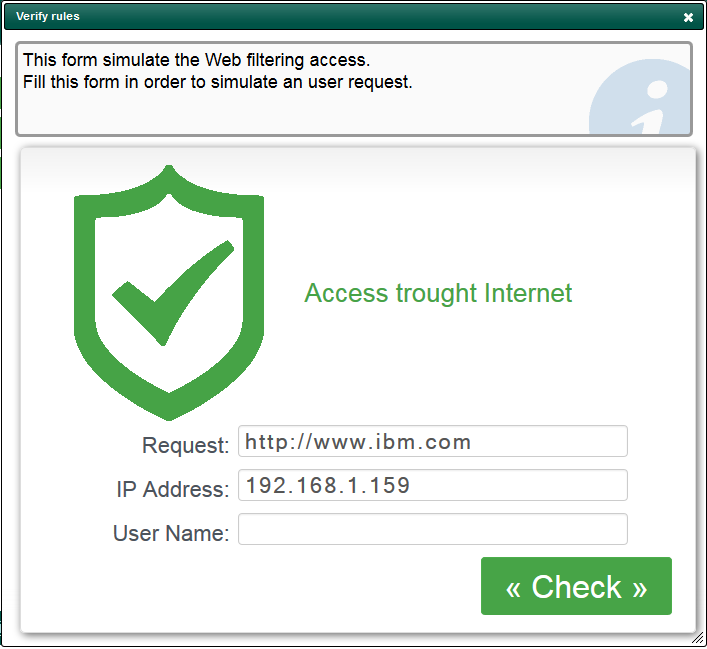 The form allows you to simulate the IP adress, the username ( if authentication method is enabled) and the URL you want to test. A bloqued request display a red shield and informations about the rule/category.